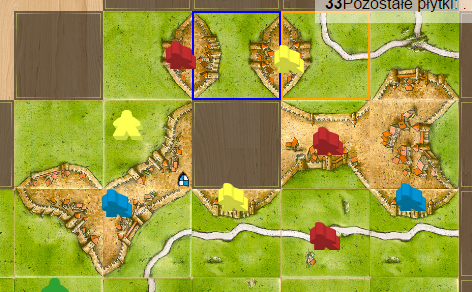 Three players in a 4 players game are participating in one big city. They can all potentially get a lot of point from mega city, leaving Green behind. 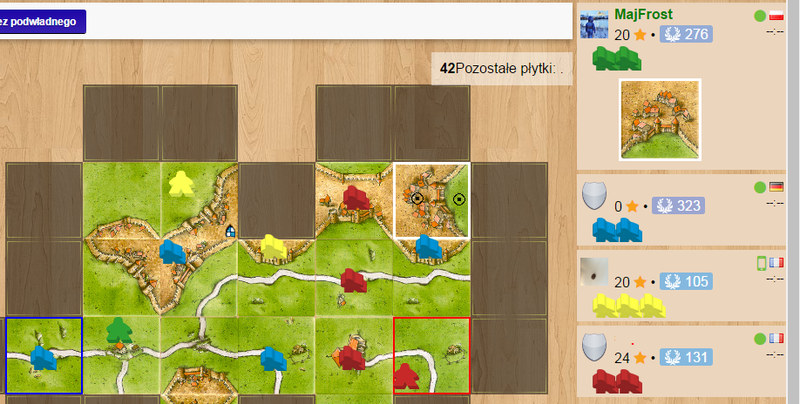 Blue is behind with the score so he is trying to take over the city. 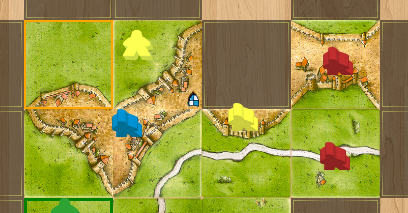 Green is not participating in this city, so adding tiles to it may not be a good idea at first glance. 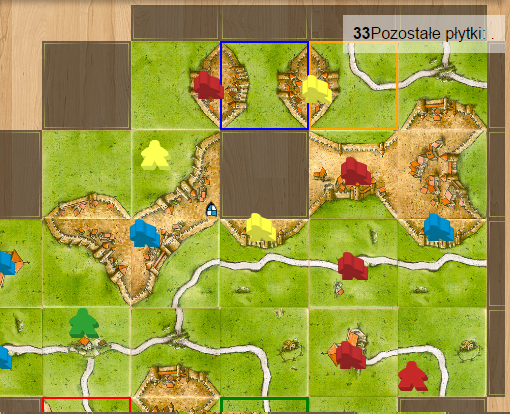 With helping blue to join this mega city green makes difficult for Red and Yellow to get points (They are in the lead now). In few next moves Yellow and Red keep fighting. CCCC tile is still in the stack, so there is possibility that they will succeed. With great move Blue cuts them out, previously finishing city on the top right corner. With a bit of lucky draw Blue finishes the city gaining the lead. With a farmer put before he also gets potentially additional 9 points.